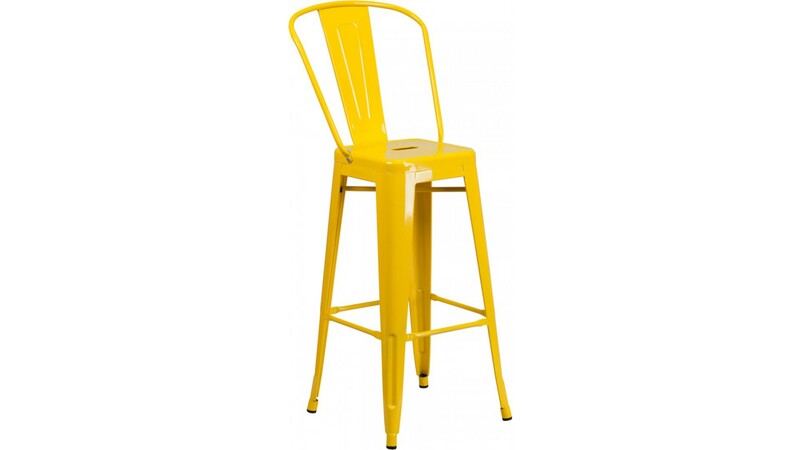 The clean lines and simple design of this square, industrial style bar stool will look great on your outdoor patio or inside your bar/restaurant. 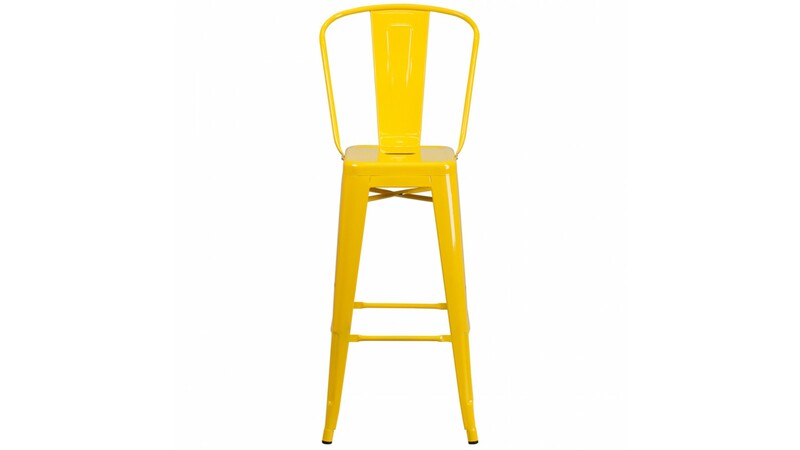 This stylish metal stool has a cross brace under the seat for added support and stability. 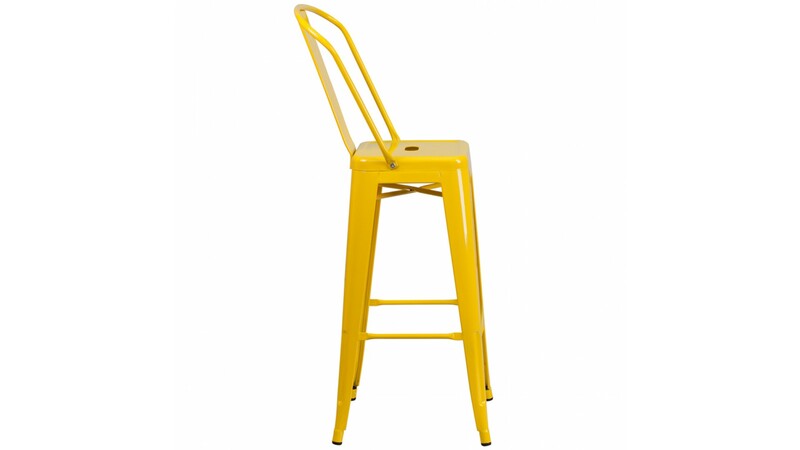 Plastic bumpers on the cross brace protect the stool's finish when stacking these stools. A drain hole in the center of the seat allows water to drain, preventing rust. The lower support brace doubles as a footrest, and plastic floor glides protect your floor by sliding smoothly when moving it. Galvanized steel construction and a powder coat finish ensure durability and easy maintenance. 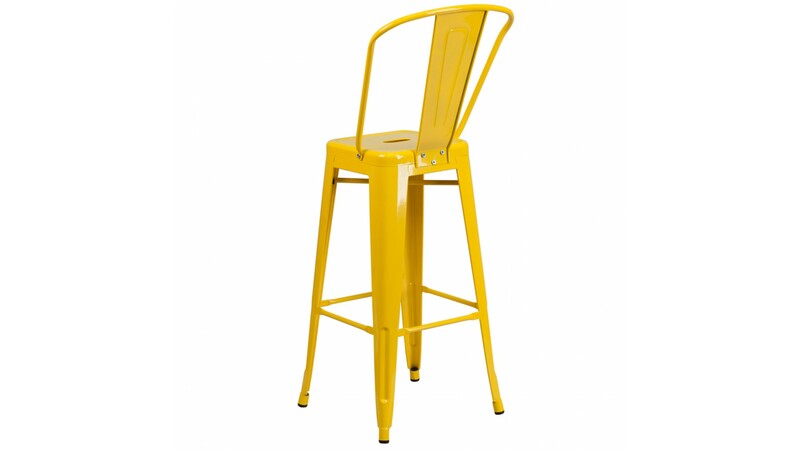 Designed for both commercial and residential use, this trend-setting bar stool is a great choice for your restaurant's outdoor dining area or your home bar.